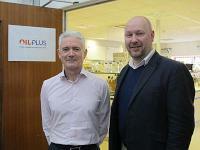 An energy industry entrepreneur has snapped up Oil Plus Ltd, a specialist oil and gas consultancy based in Berkshire, south England. Mark Cavanagh, managing director of Crandale Consultants, acquired the business from John Crane Inc, a division of Smiths Group plc, for an undisclosed value. Oil Plus plans on adding to its workforce over the next 12 months as it targets double-digit growth and forecasts turnover of GBP 3 million. Oil Plus provides global oilfield water management, production chemistry, microbiology, reservoir souring and process engineering consultancy expertise. Specialising in water treatment design, troubleshooting and the prediction and control of corrosion, fouling and reservoir souring, the company provides the highest level of field experience, personnel and laboratory facilities to help optimise oil and gas production and reduce operating costs while ensuring compliance with health and safety and environmental standards. “We are excited with the change of ownership and are looking forward to working with Mark and his team who are based in Aberdeen, bringing together expertise and the latest technologies to support the energy sector,” adds Murray. Oil Plus was founded in 1978 as a joint venture between BP and Plenty Ltd to provide process chemistry and engineering support services for BP’s Forties oilfield. In 1982, BP sold its shareholding to Plenty’s parent company Booker McConnell. Booker McConnell (re-named as Booker) sold Oil Plus Ltd to EIS, purchased several years later by TI Group which was then consolidated with Smiths Industries, now known as Smiths Group plc.